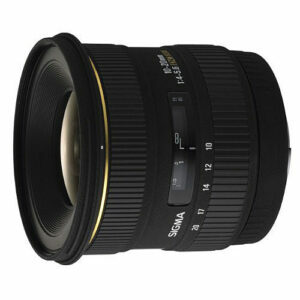 Lens Description: It’s important to have a high quality ultra-wide angle zoom in a lens kit. Sigma\'s 10-20mm f/4-5.6 EX DC ultra-wide zoom lens for digital SLR cameras is ideal for landscape photography, building interiors, group and party pictures and so much more. Great for working with close foreground subjects as this lens features a minimum focusing distance of 9.4” at all focal lengths ensuring great creative potential. The wide angle view of up to 102º also offers greater freedom of expression. Tanx you for this huge work on lenses database. I would like to suggest you in adding another behavior, at least for the lens that this value is knows. Many people will tanx you if you will add the pupil point position, or nodal point, measure from the back of the lens to the pupil point.